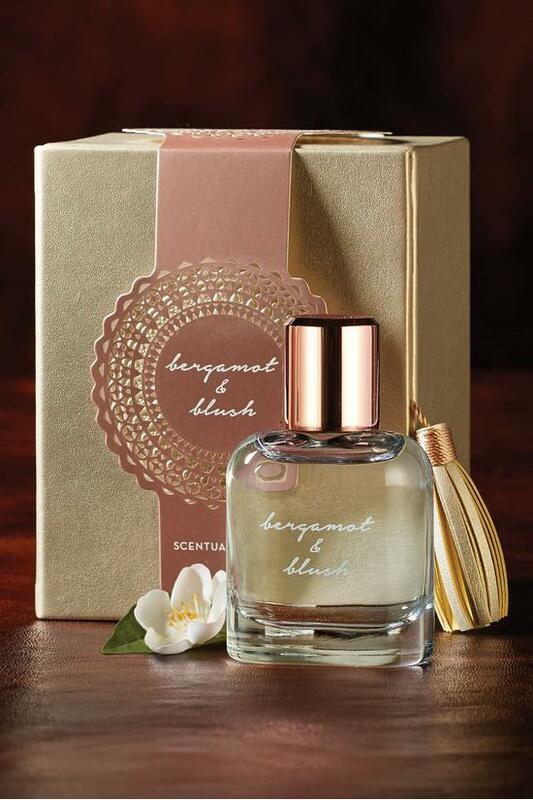 Scentual Suedes Bergamot & Blush inspires our romantic side, a modern flirtation with fresh flowers and rich suede. The lavish, earthy scent of leather suede, musk, velvet wood and sandalwood mixes in a bouquet of petally magnolia, ancient tuberose, jasmine and delicate cyclamen. Top notes of tangy apricot-peach and violet leaf finish this stunning and unforgettable fragrance. Eau de parfum. 1.69 fl. oz. Exclusive to Soft Surroundings.